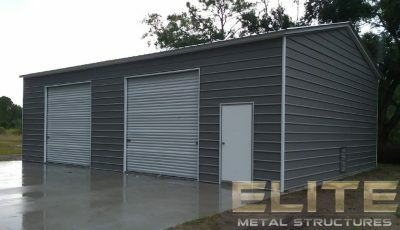 WHAT ARE THE FEATURES FOR REGULAR ROOF STYLE METAL STRUCTURES? 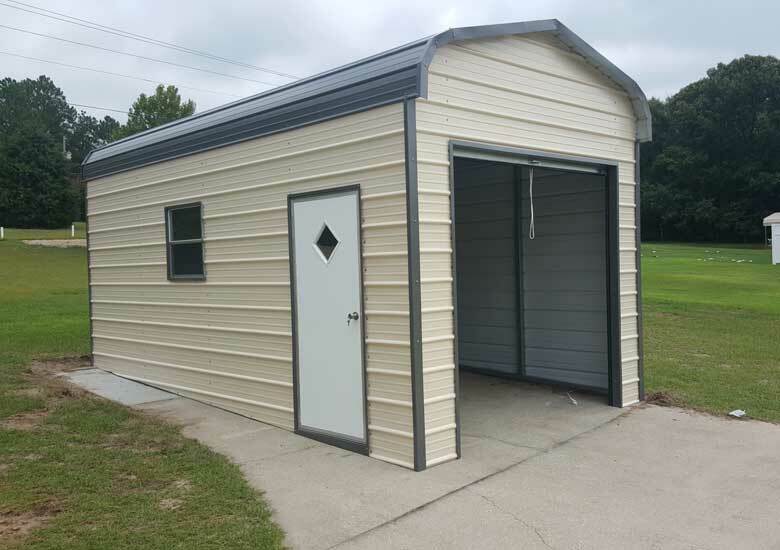 The radius bend transition from the roof on to the legs or posts makes the regular roof style the most economical of the three roof styles that we offer. Which means there are no right angle joints where the side walls meet the roof line. The roof wraps around the edge in a curve. 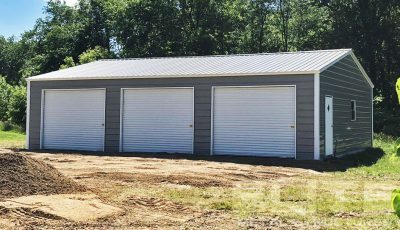 There’s no posts to weld, no hat channel needed to support vertical roof panels, and there’s no eave side trim needed, so that keeps the material and labor costs low and ultimately your cost low. 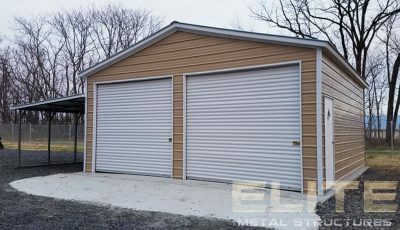 The corrugated ridges on the regular roof panels run from front to back or end to end on all regular roof style buildings. With those ridges running horizontally, water, leaves, snow, and other debris tends to hold onto those ridges. 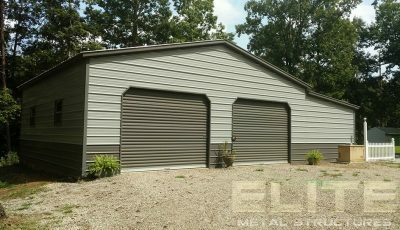 This increases the chances that rust will form in these places, shortening the life of the building and increasing maintenance costs. The regular roof style will also drain on the front and back of the building, at the ends of the panel, where most people place the entrance or exit. The only effective way to remove debris is by pressure washing or using a ladder and broom to sweep off the roof. While regular roof style buildings are economical, they don’t look as nice as the A-Frame building will look adjacent to your home. The horizontal roof sheeting on the regular style carports gets dirty faster and water stands on the unit longer. In short, the roof panels won’t last as long as those do on a vertical roof unit. Ultimately, the choice is yours but our goal is to provide you with all of the information to make the best possible buying decision that’s right for you. 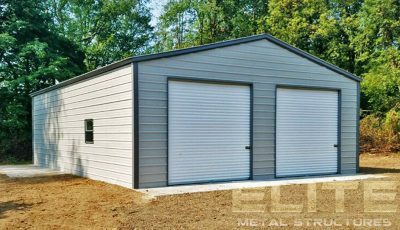 Regardless of the roof type that you choose the professionals at Elite Metal Structures will assist you in choosing the building that is right for your circumstances and budget.